Graduate School of Education, University of Fukui has newly established the academic exchange agreement with The National Institute of Education, Nanyang Technological University, Singapore (Singapore). 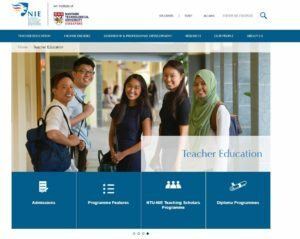 We have student exchanges, faculty exchanges, joint research and other collaborations with The National Institute of Education, Nanyang Technological University, Singapore. We now have 142 partner institutions in 34 countries and regions.